Laura wants to know if the numbers I cited way back at Extraordinary Stat: The Real Face of Jesus on YouTube are for real. Here is a sample of just a few from YouTube. The numbers of viewers, by a quick estimate, to well over six million views (certainly with some duplication) before I got bored. You get the idea. 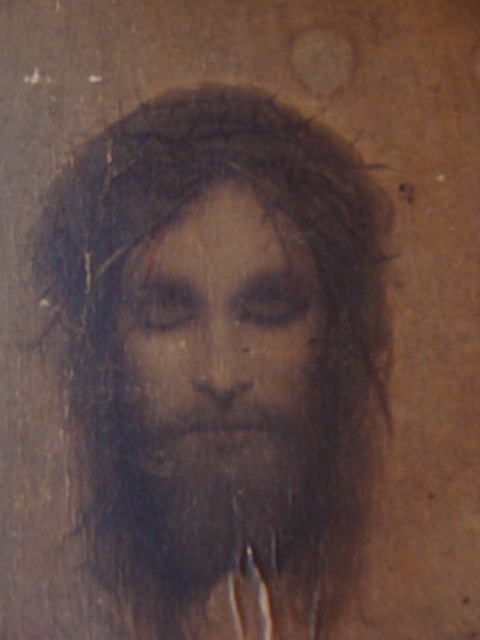 What is the source of this picture of Jesus? Does anyone know the source of this picture of Jesus? A reader of this blog is looking for information. Reply in the comment box below or by email to drporter@optonline.net. Thanks. Any flies on the wall? An Anglican church in Calgary is set to become the first in Canada to accept an offer from the Vatican to become Catholic. The congregation at St. John the Evangelist — the only high Anglican church in the diocese — has felt increasingly isolated as the parent church slowly liberalized, accepting women as priests and blessing gay and lesbian unions. "There has been very much a lack of unity," said congregation member Richard Harding. Last year Pope Benedict XVI offered to let disaffected Anglican congregations switch to the Roman Catholic faith through the adoption of Anglican Ordinariates. 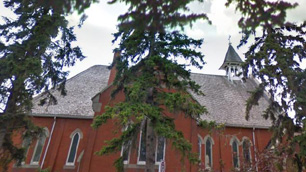 After months of meetings with Catholic officials in Calgary, the congregation at St. John voted earlier this month to accept that offer. Under the new orders, which have not yet been created, former Anglican parishes will be permitted to maintain their distinctive liturgical practices, and priests will still be allowed to marry. This new billboard sort of gives you that warm, happy, silver bells Christmas feeling as you enter the Lincoln Tunnel to go Christmas shopping, attend midnight mass or see the Rockefeller Tree. I’ve never had an issue with reason. I am not particularly troubled by the mythology in the Christmas story. I am troubled by the lack of reason and decency by those who think this is a good thing to do. Who has seen the mind? Neither you nor I — nor any of the legions of neuroscientists bent on opening the secrets of that invisible force, as powerful and erratic as the wind. . . . . In the book’s final essay, Joy Hirsch, a neuroimaging specialist at Columbia, sympathizes with readers who hate the idea that they — their essential selves, their likes and dislikes, their premonitions, biases and life decisions — are nothing but neural circuits. 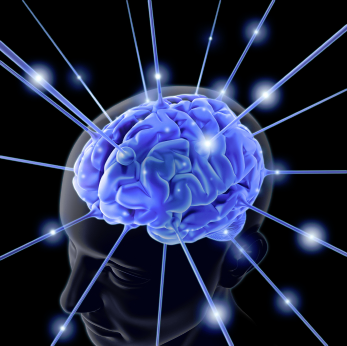 Now, however, Dr. Hirsch says she joyfully embraces “the astonishing unity of the physical brain and the mind” for the potential it clearly holds for improving the lot of humankind. And furthermore, she doesn’t see that anyone has much choice about accepting it.